Zevon was born in Chicago, Illinois, the son of Beverly Cope (née Simmons) and William Zevon. His father was a Jewish immigrant from Russia, whose original surname was Zivotovsky. William Zevon worked as a bookie who handled volume bets and dice games for the notorious Los Angeles mobster Mickey Cohen; he worked for years in Cohen's Combination, in which he was known as Stumpy Zevon, and was best man at Cohen's first wedding. Warren's mother was from a Mormon family and was of English descent. They moved to Fresno, California. By the age of 13, Zevon was an occasional visitor to the home of Igor Stravinsky, where he briefly studied modern classical music alongside Robert Craft. Zevon's parents divorced when he was 16 years old; he soon quit high school and moved from Los Angeles to New York City to become a folk singer. Zevon turned to a musical career early, including a stretch with his high school friend Violet Santangelo as a musical duo called lyme and cybelle. He spent time as a session musician and jingle composer. He wrote several songs for his White Whale labelmates the Turtles ("Like the Seasons" and "Outside Chance"), though his participation in their recording is unknown. Another early composition ("She Quit Me") was included in the soundtrack for the film Midnight Cowboy (1969); to suit its place in the film, the song was re-recorded by Leslie Miller as "He Quit Me". Zevon's first attempt at a solo album, Wanted Dead or Alive (1969), was produced by 1960s cult figure Kim Fowley but did not sell well. Flashes of Zevon's later preoccupations with romantic loss and noir violence are present in songs like "Tule's Blues" and "A Bullet for Ramona". During the early 1970s, Zevon toured regularly with the Everly Brothers as keyboard player, band leader, and musical coordinator. Later the same decade, he toured and recorded with Don Everly and Phil Everly separately, as they tried to launch solo careers after their breakup. His dissatisfaction with his career (and a lack of funds) led him to move to Spain in the summer of 1975, where he lived and played in the Dubliner Bar, a small tavern in Sitges, near Barcelona, owned by David Lindell, a former mercenary. Together they composed "Roland the Headless Thompson Gunner". By September 1975, Zevon had returned to Los Angeles, where he roomed with Stevie Nicks and Lindsey Buckingham, who had by now gained fame as members of Fleetwood Mac. There he collaborated with Jackson Browne, who produced and promoted Zevon's self-titled major-label debut in 1976. Contributors to this album included Nicks, Buckingham, Mick Fleetwood, John McVie, members of the Eagles, Carl Wilson, Linda Ronstadt, and Bonnie Raitt. Ronstadt elected to record many of his songs, including "Hasten Down the Wind", "Carmelita", "Poor Poor Pitiful Me", and "Mohammed's Radio". Zevon's first tour, in 1977, included guest appearances in the middle of Jackson Browne concerts, one of which is documented on a widely circulated bootleg recording of a Dutch radio program under the title The Offender Meets the Pretender. Produced by Browne, Warren Zevon (1976) was his first album to chart in the United States, peaking at No. 189. The first edition of the Rolling Stone Record Guide (published in 1979) called it a masterpiece. The guide's latest edition (November 2004) calls it Zevon's most realized work. Representative tracks include the junkie's lament "Carmelita"; the Copland-esque outlaw ballad "Frank and Jesse James"; "The French Inhaler", a scathing insider's look at life and lust in the L.A. music business (which was, in fact, about his long-time girlfriend and mother of his son, Jordan); and "Desperados Under the Eaves", a chronicle of Zevon's increasing alcoholism. In 1978, Zevon released Excitable Boy (produced by Jackson Browne and guitarist Waddy Wachtel) to critical acclaim and popular success. The title tune is about a juvenile sociopath's murderous prom night, referred to "Little Susie", the heroine of his former employer the Everly Brothers's song "Wake Up Little Susie", while songs such as "Roland the Headless Thompson Gunner" and "Lawyers, Guns and Money" used deadpan humor to wed geopolitical subtexts to hard-boiled narratives. Tracks from this album received heavy FM airplay, and the single release "Werewolves of London", which featured Mick Fleetwood and John McVie, was a relatively lighthearted version of Zevon's signature macabre outlook and a No. 21 success. The critic Dave Marsh, in The Rolling Stone Record Guide (1979), called Zevon "one of the toughest rockers ever to come out of Southern California". :427 Rolling Stone record reviews editor Paul Nelson called the album one of the most significant releases of the 1970s and placed him alongside Neil Young, Jackson Browne, and Bruce Springsteen as the four most important new artists to emerge in the decade. On May 11, 1980, Zevon and Willie Nile appeared on the King Biscuit Flower Hour. Zevon followed Excitable Boy with Bad Luck Streak in Dancing School, in 1980. This album was dedicated to Ken Millar, better known under his nom-de-plume as the detective novelist Ross Macdonald. One of Zevon's literary heroes, Millar met the singer for the first time while participating in an intervention organized by Nelson, which helped Zevon temporarily curtail his addictions. Featuring a modest hit with the single "A Certain Girl" (Zevon's cover of an R&B record by Ernie K-Doe) reached No. 57 on the Billboard Hot 100 singles chart, the album sold briskly but was uneven, and represented a decline rather than commercial and critical consistency. It contained a collaboration with Bruce Springsteen on the song "Jeannie Needs a Shooter" and the ballad "Empty-Handed Heart" featuring a descant sung by Linda Ronstadt, which dealt with Zevon's divorce from his wife, Crystal, the mother of his daughter Ariel; she has been erroneously described in some sources as his "second wife". (Marilyn "Tule" Livingston, the mother of his son, Jordan, and Zevon were in a long-term relationship but never married.) Later in 1980, he released the live album Stand in the Fire (dedicated to Martin Scorsese), recorded over five nights at the Roxy Theatre in Los Angeles. Zevon's 1982 release, The Envoy, returned to the high standard of Excitable Boy but was not a commercial success. It was an eclectic but characteristic set that included such compositions as "Ain't That Pretty at All", "Charlie's Medicine" and "Jesus Mentioned", the first of Zevon's two musical reactions to the death of Elvis Presley; the other is the song "Porcelain Monkey" on Life'll Kill Ya in 2000. The album also contains the first of Zevon's writing collaborations with respected writers of fiction: "The Overdraft", co-written with Thomas McGuane. The title track was dedicated to Philip Habib, U.S. special envoy to the Middle East during the early 1980s. In the liner notes for the 1996 anthology I'll Sleep When I'm Dead, Zevon stated that after the song came out, Habib sent him "a very nice letter of appreciation on State Department stationery". The lyrics of another track, "The Hula Hula Boys", were excerpted in Hunter S. Thompson's 1983 book, The Curse of Lono. In 1983, the recently divorced Zevon became engaged to Philadelphia disc jockey Anita Gevinson and moved to the East Coast. After the disappointing reception for The Envoy, Zevon's distributor, Asylum Records, ended their business relationship, which Zevon discovered only when he read about it in the "Random Notes" column of Rolling Stone. The trauma allegedly caused him to relapse into serious alcoholism and drug abuse. In 1984, he voluntarily checked himself into an unnamed rehab clinic in Minnesota. His relationship with Gevinson ended shortly thereafter. Zevon retreated from the music business for several years, except for playing live solo shows, a period of time during which he finally overcame severe alcohol and drug addictions. During this interim period, Zevon collaborated with Bill Berry, Peter Buck and Mike Mills (of R.E.M. ), along with backup vocalist Bryan Cook to form a minor project called Hindu Love Gods. The group released the noncharting single "Narrator" for IRS Records in 1984, then went into abeyance for several years. Berry, Buck and Mills served as the core of Zevon's next studio band when he re-emerged in 1987 by signing with Virgin Records and recording the album Sentimental Hygiene. The release, hailed as his best since Excitable Boy, featured a thicker rock sound and taut, often humorous songs like "Detox Mansion", "Bad Karma" (which featured R.E.M. lead singer Michael Stipe on backup vocals), and "Reconsider Me". Included were contributions from Neil Young, Bob Dylan, Flea, Brian Setzer, and George Clinton, as well as Berry, Buck, and Mills. Also on hand were Zevon's longtime collaborators Jorge Calderón and Waddy Wachtel. During the Sentimental Hygiene sessions, Zevon also participated in an all-night jam session with Berry, Buck and Mills, as they worked their way through rock and blues numbers by the likes of Bo Diddley, Muddy Waters, Robert Johnson and Prince. Though the sessions were not initially intended for release, they eventually saw the light of day as a Hindu Love Gods album. The immediate follow-up to Sentimental Hygiene was 1989's Transverse City, a futuristic concept album inspired by Zevon's interest in the work of cyberpunk science fiction author William Gibson. It featured guests including the Little Feat drummer Richie Hayward, the Jefferson Airplane and Hot Tuna bassist Jack Casady, the noted jazz keyboardist Chick Corea and various guitarists, including Wachtel, David Lindley, Jerry Garcia, Jorma Kaukonen, David Gilmour and Neil Young. Key tracks include the title song, "Splendid Isolation", "Run Straight Down" (which had a promotional video that featured Zevon singing in a factory while Gilmour played guitar solos), and "They Moved the Moon" (one of Zevon's eerier ballads). Transverse City was a commercial disappointment, and Zevon was dropped by Virgin Records soon after the album's release. Zevon, however, contracted almost immediately with Irving Azoff's new label Giant Records, and the first issue under Zevon's contract with his new distributor was the album Hindu Love Gods, recorded during the Sentimental Hygiene sessions. The album included a cover of Prince's "Raspberry Beret", which became a number 23 Modern Rock hit in the United States. In 1991, Zevon, once again a solo artist, released Mr. Bad Example. This album featured the modest pop hit "Searching for a Heart" and the rocker "Things to Do in Denver When You're Dead", later used as the title of the neo-noir film of the same name, directed by Gary Fleder; after some skirmishing over the unauthorized use of Zevon's song title, the Zevon track was licensed to play over the film's end credits. Zevon also sang lead vocals on the song "Casey Jones" from the Grateful Dead tribute album Deadicated, with his regular collaborator David Lindley. Zevon toured the United States (with the Odds), Europe, Australia and New Zealand during this period. Owing to his reduced circumstances, his performances were often true solo efforts with minimal accompaniment on piano and guitar; the live album Learning to Flinch (1993) documents such a tour. Zevon often played in Colorado to allow for an opportunity to visit with his longtime friend Hunter S. Thompson. A lifelong fan of hardboiled fiction, Zevon was friendly with several well-known writers, who also collaborated on his songwriting during this period, including Thompson, Carl Hiaasen and Mitch Albom. Zevon also served as musical coordinator and occasional guitarist for an ad-hoc rock music group called the Rock Bottom Remainders, a collection of writers performing rock-and-roll standards at book fairs and other events. The group included Stephen King, Dave Barry, Matt Groening and Amy Tan, among other popular writers, and it has continued to perform one benefit concert per year since Zevon's death. An affiliated project for which Zevon both played and wrote liner notes is the offbeat 1998 album Stranger Than Fiction, a two-CD set attributed to the Wrockers, containing rock covers and originals by many of the Remainders authors plus such notables as Norman Mailer and Maya Angelou. Zevon oversaw music for the short-lived revival of the NBC series Route 66 (1993), contributing that show's main title theme, "If You Won't Leave Me I'll Find Somebody Who Will". His music was also featured in several of William Shatner's TekWar movies from 1994 to 1996. Zevon is listed as "theme music composer" in the opening credits, and his song "Real or Not" was used as the show's theme song. Occasionally, between 1982 and 2001, Zevon filled in for Paul Shaffer as bandleader on Late Night with David Letterman and later the Late Show with David Letterman. One example was in 1998 when Shaffer traveled to Canada to film his cameo in Blues Brothers 2000. In 1995, Zevon released the self-produced Mutineer. The title track was frequently covered by Bob Dylan on his U.S. fall tour in 2002. Zevon's cover of cult artist Judee Sill's "Jesus Was a Crossmaker" predated the wider rediscovery of her work a decade later. The album, however, suffered the worst sales of Zevon's career, in part because his label, superagent Irving Azoff's short-lived Giant Records, was in the process of going out of business. Rhino Records released a Zevon "best-of" compilation in 1996, I'll Sleep When I'm Dead. Zevon also appeared on the Larry Sanders Show on HBO, in 1993, playing himself as a guest on the show, promoting Learning to Flinch. Zevon also played himself on two episodes of Suddenly Susan in 1999, along with singer and actor Rick Springfield. 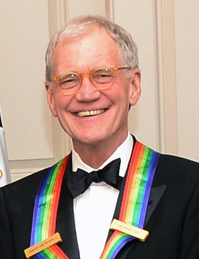 Comedian and TV host David Letterman was credited by Zevon as "being the best friend my music ever had"
After another five-year layoff, Zevon signed with industry veteran Danny Goldberg's Artemis Records and again rebounded with the mortality-themed 2000 release Life'll Kill Ya, containing the hymn-like "Don't Let Us Get Sick" and an austere version of Steve Winwood's 1980s hit "Back in the High Life Again". With record sales brisk and music critics giving Zevon his best notices since Excitable Boy, Life'll Kill Ya is seen as his second comeback. He followed with the album My Ride's Here (2002), with its morbid prescience of things to come; the album included "Hit Somebody! (The Hockey Song)" (co-written by Mitch Albom, the author of Tuesdays with Morrie, and featuring Paul Shaffer, the Late Night band, and a spoken vocal from TV host David Letterman) and the ballad "Genius", later used as the title of an anthology of Zevon's recordings in 2002. At about this time, he and the actor Billy Bob Thornton formed a close friendship, catalyzed by their common experiences with obsessive-compulsive disorder and the fact they lived in the same apartment building. One of Zevon's compulsions was buying and hoarding identical gray Calvin Klein T-shirts. In interviews, Zevon described a lifelong phobia of doctors and said he seldom consulted one. He had started working out, and he looked physically fit. Shortly before playing at the Edmonton Folk Music Festival in 2002, he started feeling dizzy and developed a chronic cough. After a period of suffering with pain and shortness of breath, Zevon was encouraged by his dentist to see a physician; he was diagnosed with pleural mesothelioma, a cancer (usually caused by exposure to asbestos) that affects the pleura, a thin membrane around the lungs and chest lining. Zevon was deeply shaken by the news and fell off the wagon after 17 years of sobriety. Although Zevon never revealed where he may have been exposed to asbestos, his son, Jordan, suggests that it came from Zevon's childhood, playing in the attic of his father's carpet store in Arizona. Refusing treatments he believed might incapacitate him, Zevon instead began recording his final album, The Wind, which includes performances by close friends including Bruce Springsteen, Don Henley, Jackson Browne, Timothy B. Schmit, Joe Walsh, David Lindley, Billy Bob Thornton, Emmylou Harris, Tom Petty, and Dwight Yoakam. At the request of the music television channel VH1, documentarian Nick Read was given access to the sessions and made the television film Inside Out: Warren Zevon. On October 30, 2002, Zevon was featured on the Late Show with David Letterman as the only guest for the entire hour. The band played "I'll Sleep When I'm Dead" as his introduction. Zevon performed several songs and spoke at length about his illness. Zevon had been a frequent guest and occasional substitute bandleader on Letterman's television shows since Late Night was first broadcast in 1982. He noted, "I might have made a tactical error in not going to a physician for 20 years." It was during this broadcast that, when asked by Letterman if he knew something more about life and death now, he first offered his oft-quoted insight on dying: "Enjoy every sandwich." He also thanked Letterman for his years of support, calling him "the best friend my music's ever had". For his final song of the evening, and his final public performance, Zevon performed "Roland the Headless Thompson Gunner" at Letterman's request. In the green room after the show, Zevon presented Letterman with the guitar that he always used on the show, with a single request: "Here, I want you to have this, take good care of it." The day after Zevon's death, Letterman paid tribute to him by replaying his performance of "Mutineer" from his last appearance. The Late Show band played Zevon's songs throughout the night. Zevon stated previously that his illness was expected to be terminal within months after diagnosis in late 2002. However, he lived to see the birth of twin grandsons in June 2003 and the release of The Wind on August 26, 2003. Owing in part to the first VH1 broadcasts of Nick Read's documentary Warren Zevon: Keep Me in Your Heart, the album reached number 12 on the U.S. charts, Zevon's highest placement since Excitable Boy. When his diagnosis became public, Zevon wryly told the media that he just hoped to live long enough to see the next James Bond movie (Die Another Day), a goal he accomplished. Zevon died on September 7, 2003, aged 56, at his home in Los Angeles. The Wind was certified gold by the RIAA in December 2003, and Zevon received five posthumous Grammy nominations, including Song of the Year for the ballad "Keep Me in Your Heart". The Wind won two Grammys, with the album itself receiving the award for Best Contemporary Folk Album, while "Disorder in the House", Zevon's duet with Bruce Springsteen, was awarded Best Rock Performance by a Duo or Group with Vocal. These posthumous awards were the first Grammys of Zevon's thirty-plus year career. His body was cremated, and his ashes were scattered into the Pacific Ocean near Los Angeles. A tribute album titled Enjoy Every Sandwich: The Songs of Warren Zevon was released October 19, 2004. Zevon's son, Jordan Zevon, was the executive producer of the album and performed "Studebaker", a previously unfinished composition by his father. A second tribute album, Hurry Home Early: The Songs of Warren Zevon ("hurry home early" is from the song "Boom Boom Mancini", on the album Sentimental Hygiene) was released by Wampus Multimedia on July 8, 2005. On February 14, 2006, VH1 Classic premiered a music video from a new compilation, Reconsider Me: The Love Songs. The video, titled "She's Too Good for Me," aired every hour on the hour throughout the day. First and last issues of the Zevon albums Stand in the Fire and The Envoy were released on March 27, 2007, by Rhino Records, alongside a Rhino re-issue of Excitable Boy, with the three CDs having four unreleased bonus tracks each. Noteworthy rarities include the outtakes "Word of Mouth" and "The Risk" from the Envoy sessions and "Frozen Notes (Strings Version)", a melancholy outtake from Excitable Boy performed on acoustic piano with a string quartet. On May 1, 2007, Ammal Records, a new label started up as a partnership with New West Records by Zevon's former boss at Artemis, Danny Goldberg, released Preludes: Rare and Unreleased Recordings, a two-disc anthology of Zevon demos and alternate versions culled from 126 pre-1976 recordings that were kept in a suitcase. The album contains five previously unreleased songs: "Empty Hearted Town", "Going All the Way", "Steady Rain", "Stop Rainin' Lord" and "The Rosarita Beach Cafe", along with Zevon's original demo of "Studebaker". Selections from an interview of Zevon by the Austin-based radio personality Jody Denberg are blended with about 40 minutes of music on the collection's second disc. I'll Sleep When I'm Dead: The Dirty Life and Times of Warren Zevon, a biography by his ex-wife, Crystal Zevon, was published in 2007 by Ecco Books. The book consists mostly of interviews with many of Zevon's friends and associates and extracts from his diaries; it is notable for its unvarnished (at his request) portrayal of Zevon. George Plasketes, a professor at Auburn University, wrote a critical study of Zevon's music in 2016, Warren Zevon, Desperado of Los Angeles. Zevon was also the subject of Michael Flood's essay "Lord Byron's Luggage: Warren Zevon and the Redefinition of Literature Rock". A collection of short stories by Kelly Lynn Thomas, Miss Gun to a Knife Fight: Stories, is composed of retellings of songs by Zevon. In 2012, George Gruel, a photographer who worked as Zevon's aide-de-camp from 1978 to 1983, published a book of photos of Zevon, entitled Lawyers, Guns and Photos. ^ Dansby, Andrew (September 8, 2003). "Warren Zevon Dies". Rolling Stone. ^ Tereba, Tere (2012). Mickey Cohen: The Life and Crimes of L.A.'s Notorious Mobster. New York: ECW Press. p. 87. ISBN 1-77041-063-5. ^ "Warren Zevon's Last Waltz". The New York Times. Nytimes.com. January 26, 2006. p. 4. Retrieved June 10, 2013. ^ "Ancestry of Warren Zevon". Wargs.com. Retrieved February 7, 2012. ^ "Musician Warren Zevon Dies; Wrote 'Werewolves of London'". Washington Post. September 9, 2003. p. B6. ^ a b "Warren Zevon: Biography". RollingStone.com. Retrieved November 22, 2013. ^ Eder, Bruce. "Review of The Turles' Happy Together". AllMusic.com. Retrieved November 22, 2013. ^ a b c Freeman, Hadley (August 1, 2013). "Warren Zevon: the man behind the demons". The Guardian. ^ Marsh, Dave; Swenson, John, eds. (1979). The Rolling Stone Record Guide. New York: Random House. ^ a b Zevon, Crystal (2008). I'll Sleep When I'm Dead: The Dirty Life and Times of Warren Zevon. New York: HarperCollins. ISBN 978-0-06-076349-7. ^ Pollak, Sally (May 29, 2015). "Unplugged in Peacham: Ariel Zevon builds a life in NEK". Burlington Free Press. Burlington, VT.
^ Zevon, Warren. I'll Sleep When I'm Dead: An Anthology (liner notes). Artemis Records. ^ a b Valania, Jonathan (November 20, 2002). "An Excitable Boy, They All Said". Philadelphia Weekly. ^ "Noe Valley Voice". Sarah Smith & Jack Tipple. October 1, 1992 – via Internet Archive. ^ "The Music Man". SFGate. ^ World, Heather (November 2010). "Music Series Bids Farewell to Ministry Stage: Reprise Possible in Two Years". Noevalleyvoice.com. Retrieved March 31, 2018. ^ Plasketes, George (2016). Warren Zevon: Desperado of Los Angeles. Rowman & Littlefield. p. 136. ^ "Dylan Set Lists at Olaf's Files for 2002". Bjorner.com. Retrieved June 29, 2010. ^ a b Pareles, Jon (January 26, 2003). "Warren Zevon's Last Waltz". The New York Times. Retrieved March 27, 2013. ^ "Crystal Zevon Reads Passage from Book". YouTube.com. May 31, 2007. Retrieved May 20, 2013. ^ "Inside Out: Warren Zevon". Billy Bob Thornton site. ^ "David Letterman Hints at the End of His Late Night Career, Defends Leno Against NBC's Decision". HuffPost. September 3, 2008. Archived from the original on September 5, 2008. Retrieved June 29, 2010. ^ Sweeting, Adam (September 9, 2003). "Obituary: Warren Zevon". Theguardian.com. Retrieved December 5, 2017. ^ Gruel, George (2012). Lawyers, Guns and Photos. Troy, New York: Big Gorilla Books. ISBN 978-0-615-61772-5. Ellis, Iain (2008). Rebels Wit Attitude: Subversive Rock Humorists. Soft Skull/Counterpoint. ISBN 978-1-59376-206-3. "Warren Zevon collected news and commentary". The New York Times. "Carmelita" is a rock song written by Warren Zevon. The song was originally recorded by Canadian singer Murray McLauchlan on his self-titled album of 1972. Zevon himself recorded it four years later, in 1976, on his self titled album. Linda Ronstadt recorded a well known version in 1977, and various covers have followed. On My Ride's Here, Zevon collaborated with a number of writers from outside the world of music. He also covers Serge Gainsbourg's "
Laissez-Moi Tranquille" which roughly translates as "leave me alone". Gainsbourg first recorded it in 1960 on the Romantique 60 EP. "I Have to Leave" was a song written by Zevon's high school friend, Dan McFarland, formerly of the band Sinch. The single version of "Leave My Monkey Alone" was extended to 10:34 minutes and included a remix by the Latin Rascals (Albert Cabrera and Tony Moran) and the non-album track, "Nocturne". "Even a Dog Can Shake Hands" was used as the opening theme music for the short-lived Fox comedy series Action. The song was composed by Peter Buck, Bill Berry and Mike Mills, all members of R.E.M. backing up Zevon on this album, who also recorded an album with Zevon under the name Hindu Love Gods. Michael Stipe also of R.E.M., appears on the album providing vocals and harmony on the song "Bad Karma". The album features contributions by Bob Dylan and Neil Young; the former playing harmonica on "The Factory" and the latter lead guitar on the title track. Wanted Dead or Alive is the debut studio album by singer-songwriter Warren Zevon. The album released by Liberty Records in 1969 under the moniker "Zevon". The album was a commercial and critical failure. The track "She Quit Me" was featured in the 1969 film Midnight Cowboy (performed by Lesley Miller) as "He Quit Me". "Tule's Blues" was written about his lover, Marilyn "Tule" Livingston, mother of his son Jordan. [Warren] wanted to play all the instruments himself. He wouldn't listen to anybody. I wasn't trying to produce him because you really couldn't produce Warren, at least not in those days, but I was trying to help him make a record that might sell more than ten copies, all purchased by his friends. But, he didn't listen to anyone about anything, and one day I just walked in thinking I'd had enough. Zevon chalked up his disagreement with Fowley to a "sudden attack of taste".The album was released "to the sound of one hand clapping", as Zevon later remarked. Sales were poor, and critics ignored the album. Jackson Browne later commented, "I don't remember thinking [the album] was as good as he really was." Attempts to record a follow-up album, called Leaf in the Wind, were abandoned, and Zevon found work as band leader and musical coordinator for the Everly Brothers. His next album, the critically acclaimed classic Warren Zevon, was not released until 1976. Once Zevon reached stardom, Wanted Dead or Alive ended up as an all-but-forgotten relic of his early career. Wanted Dead or Alive was initially released on the CD format by One Way Records in 1996. Following the announcement that Zevon had terminal lung cancer, Capitol Records put out a remastered version of the album in early 2003.